Who needs April in Paris when there are so many great things happening right here, in our own great city. 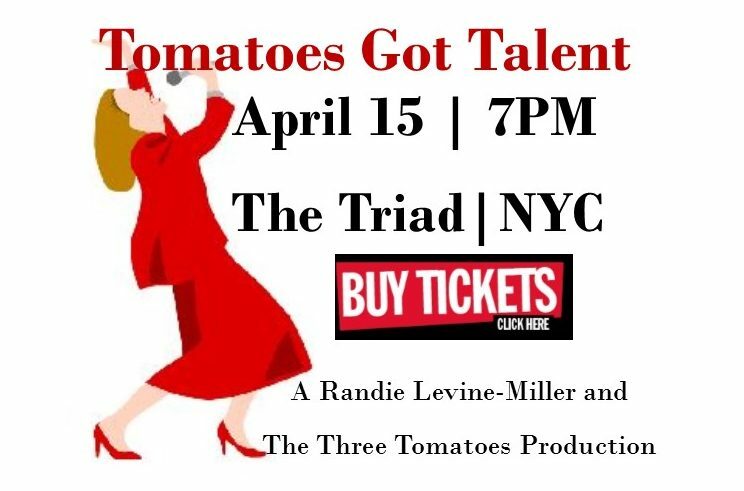 Our 6th Tomatoes Got Talent show will be the hottest ticket in town, and our past year’s finalists are performing everywhere! We hope you’ll join us at the Water Club at the end of April for an inspiring and entertaining gala to benefit our veterans. Speaking of talent, there could be a crown in your future. Auditions for the 2019 New York Sr. Ms. America start this month. Hurry and get your early bird discount tickets for our May 11th Renewal Summit. Valerie Smaldone has the scoop on an authentic east side French Bistro. 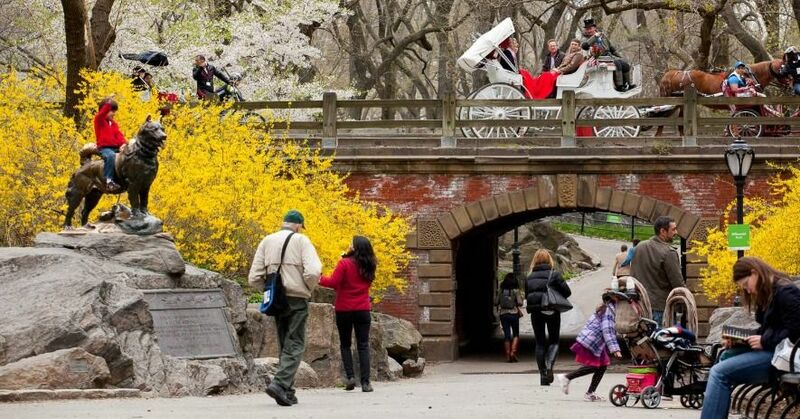 And you know it’s spring when the Macys’ flower show arrives. Every year Macy’s welcomes Spring with the annual Flower Show—a magnificent themed floral extravaganza. 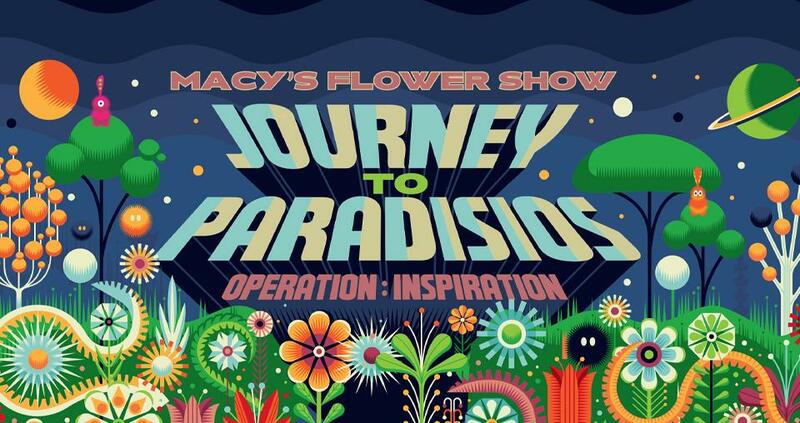 This year celebrates a more than 70-year floral tradition with Journey to Paradisios, Operation: Inspiration, an otherworldly realm of glorious blossoms, lush plant life and amazing flora where visitors experience what could exist in the great beyond. 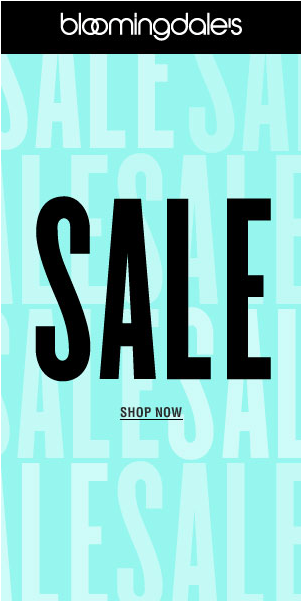 Get more details. We have an amazing group of 12 incredibly talented finalists whose day jobs include COO of a major bank, a legal secretary, head of a non-profit, and a special ed teacher, who will step onto the stage and become super stars. Check out the audition video. 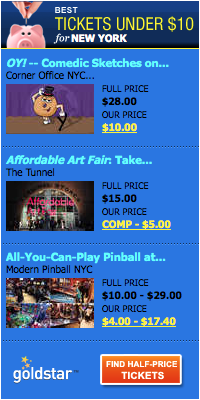 Get your tickets! We’re so excited to say that yet another of our Tomatoes Got Talent show finalists is doing her own cabaret show. 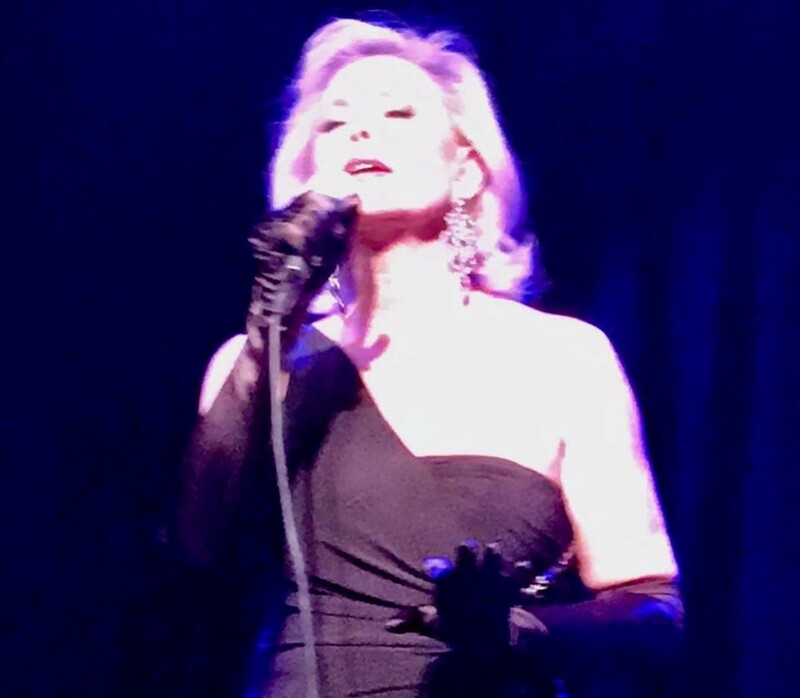 Cookbook author, entertaining guru, and beautiful chanteuse, Pamela Morgan, will be performing at the Laurie Beechman Theatre. April 16 @ 7PM. Seats are limited so get your tickets here while you can! 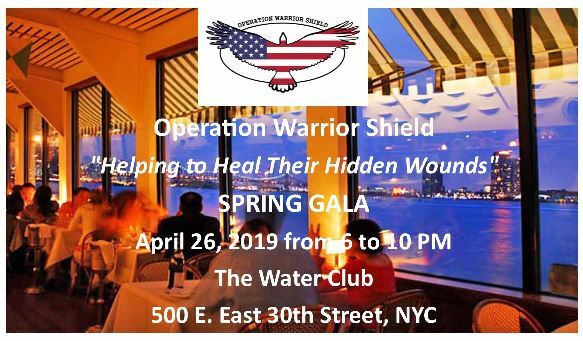 Our dear friend, 3T partner, and longtime veterans advocate Anne Akers, is inviting Tomatoes to join us at the Water Club for an inspirational evening to raise funds for Operation Warrior Shield’s VetWell program that provides techniques to help heal the hidden wounds of our veterans. This special evening will honor Brig. 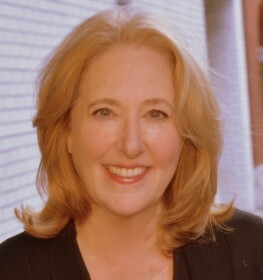 Gen (ret) Loree Sutton, MD, NYC Commissioner of Veterans Services; Mr. Bob Roth, CEO, David Lynch Foundation; Lt. Col. (ret) Justin Constantine, USMC-VP, Job Path. Special guest is Susan Lucci; emcee is Jane Hanson and musical performances by Steven Maglio, Daniel Rodriquez, and The Janes. May 11. 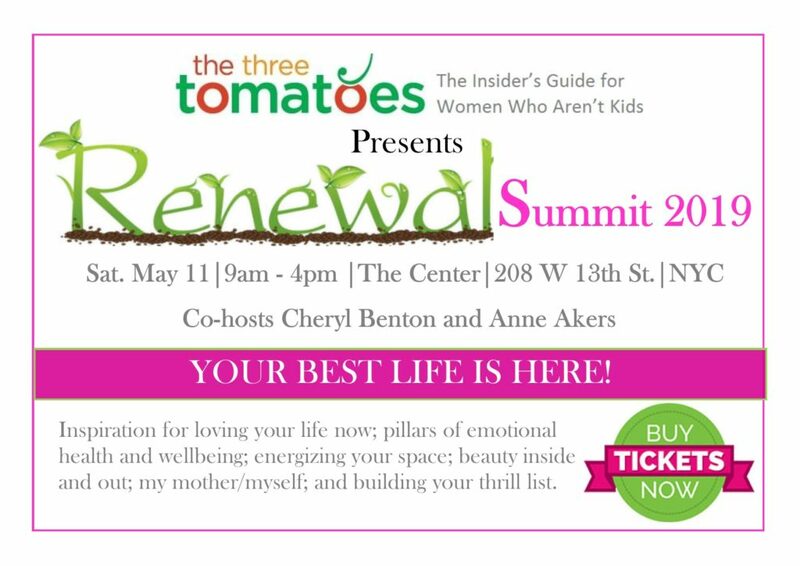 Early Bird Discount Tickets for Renewal Summit. your early bird ticket discount now. 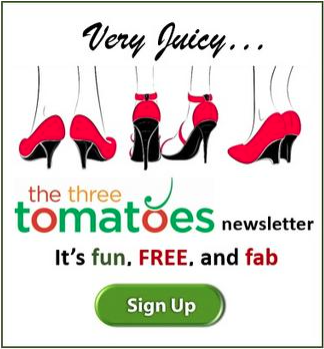 Every year since we started Tomatoes Got Talent, we have had finalists from Ms. New York Senior America. This year, the current Ms. New York, Maureen Griffen and runner up, Laura Lorenzo, are in our talent show. 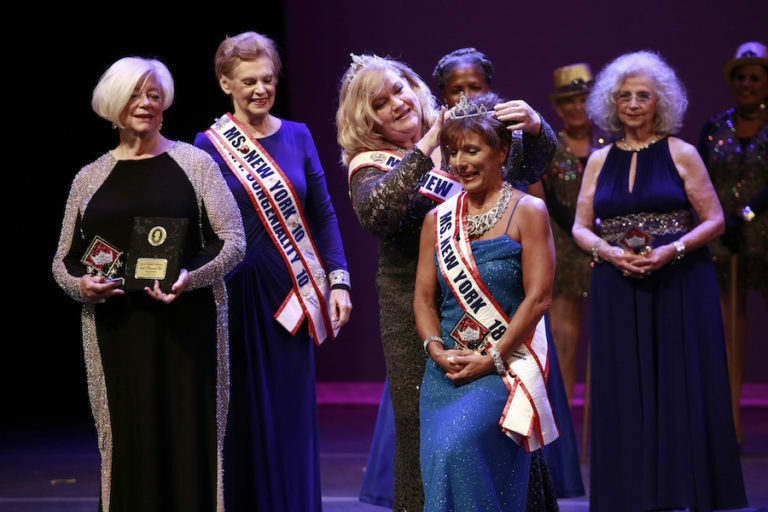 Applications are now open for the 2019 Ms. New York Senior America Contest. 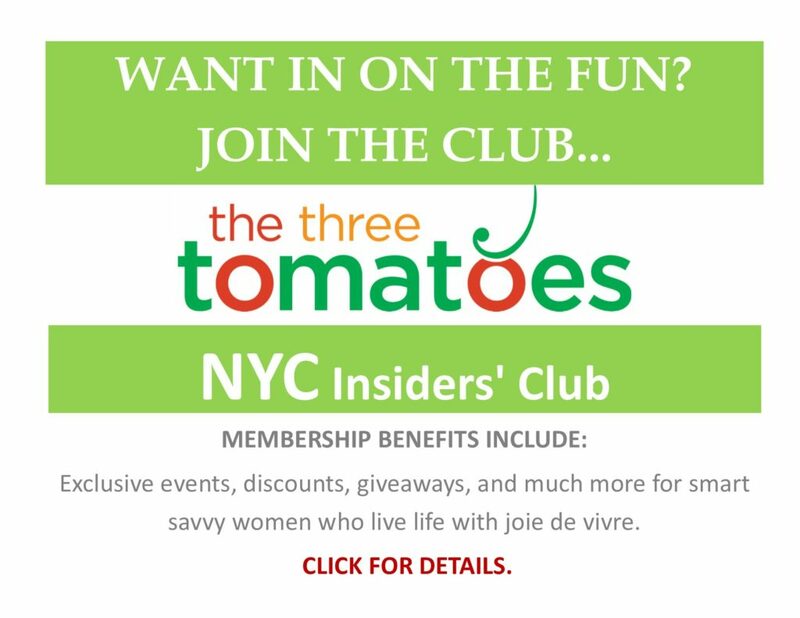 If you are a talented Tomato over 60, and you live in New York, think about entering! Auditions are March, April, and May. The actual pageant takes place on July 14, 2019. Get the details.